Disney was just what I needed this weekend. The hard part of working from home is that you're always on. I think it's a little worse for me because I also have this blog so I have like 3 jobs that all take place at home. This means that I always feel like I'm working even when I should be chillaxing (see the writing of this post. I should totally be sleeping!). This is where annual passes to Disney come in handy. I made it to Epcot's International Flower and Garden Festival on its last weekend last year. I promised I'd go earlier this time around. It was an overcast yet perfect day. The good news is? We made it this weekend. The bad news? We didn't get to see all the awesome butterflies we saw last year. What with them still cooking and all. We caught glimpse of a couple and I am excited to be going back next weekend. The plan is to make sure that I get some yumminess because we didn't stay for dinner. Outdoor kitchens? Yes please! Full disclosure: there's a good chance I'll be going back at least once during this festival without the Frog Princess. Because Epcot is also Mami time! 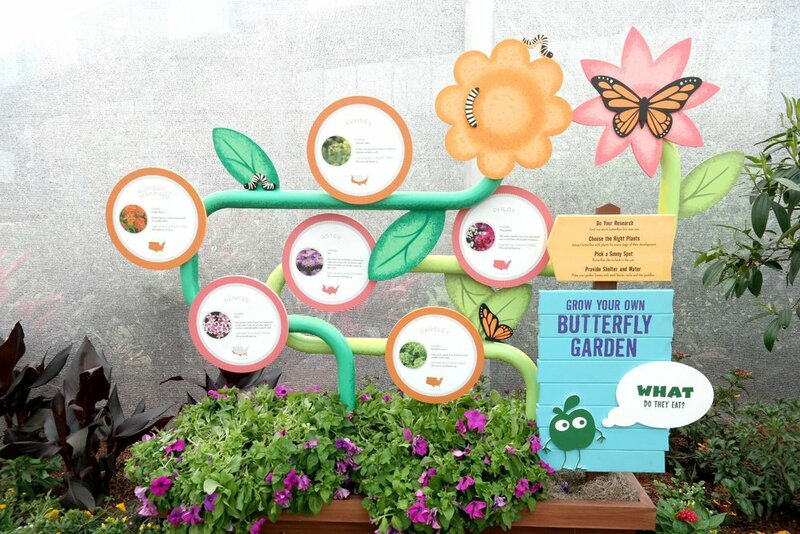 I love that the butterfly garden is sponsored by GoGoSqueez. The Frog Princess was pleasantly surprised to have gotten one of her favorite snacks right before going to look at butterflies. But, let's get right to it. Check out the pics I took with the NX-300 while at Epcot this weekend. What do you think of these awesome flowers?